I love Findagrave.com. I've been able to locate death information on countless ancestors and make connections that I would have had to visit cemeteries across the country to pull together. I have also saved many of the photos on the site to my collection and even posted some on my Ancestry.com tree and on this very blog. However, I just made the realization that Find A Grave doesn't belong to me...or you. A Findagrave.com photo that I took and don't care who knows it. If you have read this blog for any amount of time you know that I hold copyright very dear to my heart. I have posted numerous links to public domain photos and content. But I believe that Find A Grave should be in the same realm. The photos are uploaded by users for the intent of sharing content. If they didn't want them shared with the world they wouldn't have posted them in the first place. I have posted numerous photos and have seen the same photos on several trees on Ancestry.com. I don't care because I wanted to share the images to help other people. After all, that is the intent of the Find A Grave site. Why did you create Find A Grave? We believe this information is important for many reasons. It is of great historical importance to have a record of all those who have been a part of our collective humanity. Burial information is a wonderful resource for people researching their families (genealogists). Most importantly, visiting a gravesite is a way of keeping the memory of someone alive. We aim to create a comprehensive 'virtual cemetery' where loved ones can visit graves, leave flowers, etc. when they cannot do so in real life due to geography, finances or other circumstances. So, what is the issue? If Find A Grave is a free site whose content is loaded by its end users, why the need for the copyright restriction? I completely understand Find A Grave's need to cover themselves with the copyright mention on their facts page. However, I believe that in order to post images to the site the users should comply to an agreement that the photos they upload become part of the public domain available for use by the general public. After all, we're talking about photos of gravestones, not something you are going to sell at an art gallery. As for photos of individuals and newspaper clippings, that is the user's choice, but newspaper clipping images don't technically belong to them either. The bottom line is this: If you want to retain copyright to an image and squirrel it away for yourself, don't post it on a publicly accessible and free website. It's that simple. I don't think there is any need, in this instance, to request the use of the photos. I think it should be inherent. What are your thoughts? Such a great point, John. The ownership of the actual gravestone adds another layer of complications. Perhaps that is why many cemeteries won't tell you where a gravestone is located unless you are family. Then there are some cemeteries who post all their gravestone photos themselves! It's a complicated mess. I also find the copyright issue odd with findagrave photos. I have asked permission on several occasions to use a photo and the reply is always absolutely. One thing that 'bothers' me is that in many cases I'm the individual who requests the photo so when the volunteer photographs the grave, I feel like they've done that for me. In some cases I've also developed a bit of a personal relationship with the individual who photographed the graves. On one occasion I had someone send me photos of my ancestors' graves and I asked if I could use them on findagrave. They were only too happy for me to do that but were worried that the photos weren't "good enough". I agree Debi. I think my issue now is that I feel guilty for not having asked permission on the one hundred photos I've already downloaded and used! I always give credit to the person who posted a photo on Findagrave, but I have never sought permission either. So far no one has come after me. But you have raised some points that make me wonder about all the tombstone projects that various counties have pushed in recent years. Do people who erect a tombstone have a presumption of privacy? Good point, Wendy. I don't know the answer, but like John said earlier today if it is a private cemetery are the headstones also in fact, private? I have to disagree with your post, in respect to free pictures on F.A.G. When someone uploads a picture to Find A Grave why it is assumed that it is for anyone’s use. I have placed a few thousand pictures on F.A.G. and probably some have been used without my knowledge and that doesn’t bother me but I think the photo should be credited out of common courtesy. If you are using the photos in a published work you should ask permission to protect yourself. Pictures of ours used in publications were used after the writer asked permission us to use them. A friend of mine used a picture from the internet in his business and was sued and lost. Taking ones written thoughts without permission is plagiarism. Taking someone’s photograph without their permission is stealing. As to privacy, you do not need permission to take a picture in public. If you see the president, or anyone else, you can take a picture and that picture belongs to you. But if you are publishing it in your publication, such as a news article, you need the subject’s permission. If you contend all the FAG pictures are on a public site and therefore free should not your public blog, also, be free to take? If someone requests a grave photo and another person fills that request and allows the requester permission to use the picture the picture still belongs to the photographer. FAG states, ” Ownership of a copy of a photograph is not the same as owning the copyright of the work of the photograph. The owner of the work is usually the photographer (or their employer), not the subject of the photo nor the person who has a copy of the photograph.” This is in the FAQ section of FAG. I, too, at one time thought pictures on the internet were up for anyone to use. But found out that is not true. We have, and will continue to, happily take pictures for FAG and have always happily answered yes to anyone one requesting to use our pictures. It’s just common courtesy to ask the photographer for permission to use their picture(s). People put a lot of effort into finding the cemetery and the grave site. A lot of time in taking the pictures, downloading, and cleaning up the pictures. They are using their car, their gas, their time, their computer…well, you get the picture. Don’t you think they should at least be credited? FAG does. Look on the memorials. P.S. We love your blog! Thank you for the thoughtful post. I just wanted to share that, in browsing an ancestry.com family tree several weeks ago, I saw a photograph of my grandmother's gravestone (as well as other family gravestone photos) on someone else's tree and realized that they were photos that I had posted on Find-A-Grave! Now that ancestry.com has the Find-A-Grave index, people click through to that individual's memorial and aren't even aware of the Find-A-Grave FAQ. It's just kind of weird when you are searching at ancestry and see a really familiar photo at someone else's tree. I asked her to acknowledge where she got the photos, but I just checked, and don't see any acknowledgement, even that she got them from Find-A-Grave. Nick and Janet, thank you for your comment! Just to clarify, I think FindAGrave volunteers are wonderful. And, being one myself, I understand the cost of time and resources to provide photos. I visited your blog today and saw some of your awesome photos so I know how important it is to you. I also agree that if you want to use the photos in any manner that make you money you need to ask permission for use. Elizabeth, I've run in to the same thing. I got excited just the other day because I saw that there was a photo link for a family member and it turned out to be my photo from FindAGrave. I didn't mind because that was ultimately the purpose of my posting the photo in the first place. I'll be interested to hear if the individual acknowledges your contribution. AGMaz, we are on the same page. I haven't been "yelled" at, per se, by any of the photographers, but based on the FAQs, they have a right to. It sounds like we have the same outlook. John, you raise a great point. I haven't taken many photos on FindAGrave as of yet, but maybe I need to add a blanket statement to my profile. Thanks! I just had another thought. My dad died in 2005 and we (the family) purchased a marker for his niche. When we were there to place his ashes, the marker was not there. Even though I wasn't involved in genealogy at the time, I added a memorial for him as "anonymous" on findagrave (not sure how I knew about it but I did). Fast forward a couple of years and I got involved with genealogy and findagrave and asked findagrave to switch the memorial over to my user ID which they did very quickly. And then I requested that a volunteer go to the cemetery to add a photo of the niche for me. Again, done promptly. So who owns the photo on findagrave? I guess the photographer does even though I (the family) paid for the marker and I have since been to the site and taken my own photograph. I guess I could remove the original photo, send a message to the photo volunteer explaining why I did that, and then add my own which is exactly the same as what is currently there. As I type that out it hardly makes sense to me. Heather, I'm on the same page with you in this regard. Initially I would write Find A Grave members to request permisson to use photos and always received a positive response. 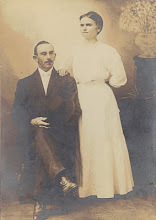 Eventually I quit asking permission, but always include the source for the images if I post them on Ancestry. I've posted over 6,000 records at Ga Gen Web because I love history and enjoy helping people find records for their ancestors. My main complaint is when people take my work and pass it off as their own. It would be nice if they would at least include my name as their source. I've posted my records in such a way that I can recognize my work. It's a shame some researchers don't respect the work of others in the genealogy community, but I've come to understand that's just the way it is. I'm not going to let it discourage me from continuing to post records online. Heather, I totally agree with you 100%. I posted a blanket permission statement on my profile page with Find-A-Grave giving permission for anyone to use my photo however they want. It's their family member, not mine. I simply agreed to walk through a cemetery close to my home and provide them with a photo of something THEIR family holds dear. A while back, I went through my tree and contacted anyone that I had used their photo from Find-A-Grave and asked permission to use the photos. Every single one of them agreed, and I went back through my tree and gave them credits for the photographs. I managed to scrap by on any trouble there because like you, I had just saved them from Find-A-Grave and added them to my tree without a thought. So, Nick and Janet, I have to respectfully disagree with you. Find-A-Grave is not someone's blog. The site is intended to provide photographs of these headstones on a volunteer basis. When I get an email from Find-A-Grave, it says "So and So" would like a photograph of "So and So's" grave, and if I take a photograph of that grave, it's my opinion that I volunteered to take the photo for "So and So" and it is now actually for them. Find-A-Grave needs to solve this for everyone and change their terms of agreement that volunteers must agree to give the photograph rights up for public use. That would solve this whole problem. I'm sure they are afraid that by doing so, the ones that don't agree to do that will delete their photos, and I say let them delete them. The ones of us that don't care about rights on the photos will re-take the pictures. No biggie. Thank you for this post and John Tew makes some excellent points. Susie, thank you for your comment. I totally concur. Unfortunately, I think this is an example where one bad egg (or many) ruined it for everyone. Someone, sometime long ago, decided to steal something from someone else's webpage and call it their own. Now we all live in fear of copyright and appropriate usage. NKJLK wrote, "If you contend all the FAG pictures are on a public site and therefore free should not your public blog, also, be free to take?" This is a really good point, and one that I think people overlook. I figure if I put something on Find A Grave, or even my blog (where I do place a copyright on every post), it's probably going to get borrowed without my knowledge or consent. To me, it is common courtesy to credit your source. I recently had someone copy an entire blog post (a short biography I wrote of a relative) and paste it into Ancestry.com as his/her own story. This person conveniently did NOT copy and paste my copyright notice! That to me is stealing. At least I was able to put a comment on the story calling the perp on it and adding my copyright information and the link to my blog. I'm a university librarian and I can tell you that it's not just "someone, sometime long ago [who]decided to steal something from someone else's webpage and call it their own." (as per Heather's comment above). The problem is RAMPANT. The least I can do is try to be a good role model. Amanda, I definitely think that you and NKJLK have a very valid point. I would never consider taking a person's blog post and claiming it as my own. I also see the rampant stealing of information all over the Internet. How many students use wikipedia as a source in papers? I bet the numbers are astounding. I described my view on FindAGrave in my comment to this post, so I won't repeat it. But I do agree, the stealing of another person's writing/art/etc. is unacceptable and the least we can do is to give credit where credit is due. I have to disagree with Heather and those who want Find A Grave photos to be "free for the taking". Heather, I do not see how you can "hold copyright very dear to my heart" yet dismiss the rights of gravestone photographers as if their creations are less worthy of protection than your creation (this blog). I do not upload photos to Find A Grave with the intent of "sharing" any place other than on Find A Grave. You may choose differently for your own photos (and I will fully support your choice because, as the photographer, that is your sole right), but kindly respect (and, hopefully, support) other photographers do not hold the same opinion. I am incredibly grateful Jim Tipton, Find A Grave's owner, respects those who contribute to his site. FYI, you may want to read Bloggers Beware: You CAN Get Sued For Using Pics on Your Blog. John, just a couple points to consider...Did Google ask your permission when they took the photo of your house/property for their Street View? And what right do they have to claim copyright on it? Making money is not the issue. Republishing is. Crediting someone is not enough. See Nick & Janet's comments about republishing your words. Susie, the photo request system is not for the requester to use the photo elsewhere. Requests are so the grave photos can be seen on Find A Grave. Jim Tipton (Find A Grave's owner) has said requesting photos for the sole purpose of using on other sites is an abuse of Find A Grave and the volunteers. I am not unrealistic and realize by publishing anything any where on the internet, I run the risk of it being infringed. However, I do post copyright statements and proactively enforce my copyrights by filing claims every time I find either my photos or biographical sketches infringed. JC, thank you for your comments. I do not believe that the FindAGrave photos have any less copyright importance than any other work. My point is that by posting something to a community forum it would be great for there to be a community understanding that those photos are for sharing purposes.